To say 2014 hasn't been a great year for aviation is an understatement. The latest terrifying flying-related story comes from right here in the United States, when an American Airlines plane made an emergency landing after panels in the cabin began to break apart midair. Yes, break apart as in pull away from the cabin wall while the plane was cruising at 35,000 feet. 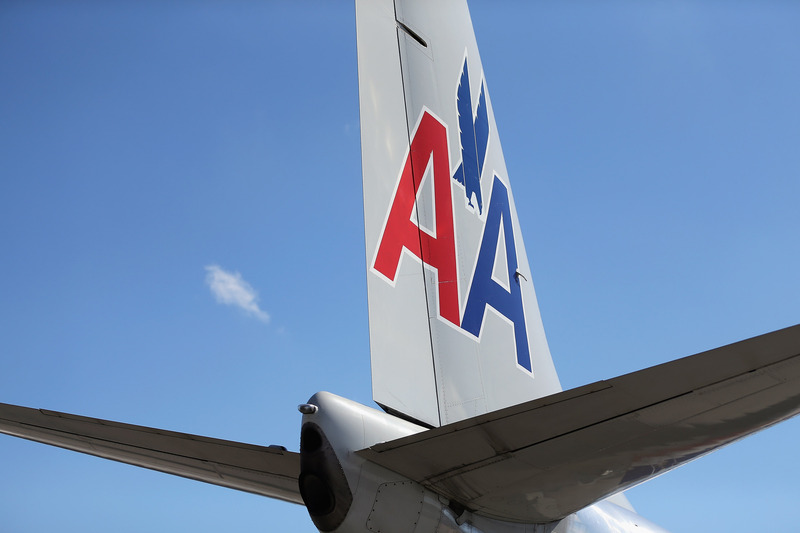 The American Airlines plane en route to Dallas/Fort Worth via San Francisco turned around an hour into its Monday flight after passengers began noticing that the cabin walls were cracking and then — terrifyingly — separating. According to SF Gate, the Boeing 757 carrying 184 passengers and six crew members made a U-turn around the border of Nevada. Sky News reports that passengers were yelling for crew members once they saw the cabin panels beginning to break. Passenger James Wilson told the news source that he heard popping noises from outside the cabin, and that the plane shook as it ascended to its cruising altitude. "It sounded like it was popping and banging so loud at first, I thought stuff was coming out of the overhead compartments," Wilson told Sky News. Wilson posted a picture of the cracked cabin panels on his Facebook timeline during the flight, with the caption: "American Flight 2293 depressurized and started coming apart mid air. Please pray for us." A few minutes later, he commented that the plane was making an emergency landing. According to flight-tracking system Flight Aware, this is the flight path the American Airlines took on Monday after the cabin walls buckled in the air. Although Wilson posted on his Facebook that the plane "depressurized," American Airlines officials say that's not true. Spokesperson Matt Miller told NBC Bay Area that the cabin's pressure remained stable, and that the plane's "oxygen masks were never deployed." He confirmed that the plane landed safely in San Francisco and displaced passengers would be set up in hotel rooms. The plane, however, has been taken out of service and will be checked out by airline officials, because no one wants to fly in a plane with cracked cabin walls. [C]ommercial jets are made of extremely strong materials. The materials are lightweight, but the airplane structure is designed to be incredibly strong. It's also designed to be "fault tolerant," meaning that if one part of the structure fails, other parts will take up the loads and the airplane will continue to fly safely.